As it stands now following the most recent election, more than half the states in the U.S. – 28 – now have legalized marijuana use for those with certain medical conditions. Still, this has yet to change the hard line stance of the U.S. Drug Enforcement Administration (DEA), where officials insist the classification of marijuana as a Schedule I narcotic is not going to budge. As a Schedule I drug, as defined in the Controlled Substances Act of 1970, that means marijuana has not only a high risk of abuse, but also no accepted medical use. Other drugs in that same category include LSD, heroin and ecstasy. Consider that methamphetamine, which is known to be highly addictive and rapidly destructive to the lives of individuals and communities, is a classified as a lesser Schedule II narcotic, meaning there is a high risk of abuse that could lead to dependence, though there may be some accepted medical uses, though they are still tightly restricted. The DEA has reasoned that only the U.S. Food & Drug Administration (FDA) has the authority to make the determination of whether a drug has an accepted use as medicine. So far, that has not happened. That’s why even in states that allow medical marijuana, doctors don’t “write prescriptions” for marijuana. Technically, they can only recommend that it be filled at a local dispensary. At this point, the power to reclassify controlled substances lies with Congress. The president does have the authority to request that the attorney general, who oversees the FDA, to start the rulemaking process that would begin reclassification. But is that something we might be able to expect from a Trump administration or the current Congress? Our marijuana lawyers in L.A. aren’t holding our breath. Previously, the closest Congress came to passing anything like that were identical bills introduced last year in both houses, neither of which advanced to a vote. Both measures did have bipartisan support and would have reclassified cannabis to a Schedule II. 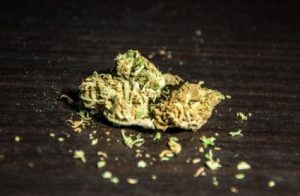 One of the measures would have stipulated that federal marijuana laws would not apply to those who were following state-sanctioned medicinal marijuana statutes. Clinton, the Democratic presidential nominee, had vowed to reclassify the drug. However, Trump rarely mentioned the issue during his campaign. He did say that he thinks “medical should happen.” However, those close to the President-Elect say marijuana access is not an issue Trump cares a great deal about. Under President Obama, Attorney General Eric Holder instructed state attorneys general to make this a non-issue. However, that could well change depending on who is appointed to the attorney general position. Former New York City Mayor Rudy Giuliani is said to be up for the post, and he has been a vocal supporter of the so-called War on Drugs. He does not support marijuana legalization. Changing the FDA’s position, it’s been said, is an unreasonably high bar. Back in the late 1980s, a DEA Chief Administrative Law Judge ruled it was unreasonable to expect this change to come from the FDA because there are no companies that have a patent on marijuana. So while “new drugs” are being developed all the time by pharmaceutical companies – those that have ample resources to bear the expense of new drug testing (which the FDA does not independently undertake) – there is no single company that is going to bear that burden for marijuana. Last year, the Obama administration did expand opportunities for drug testing to allow more cultivation. Tagged: L.A. marijuana lawyers, marijuana lawyer and Marijuana lawyers in L.A.